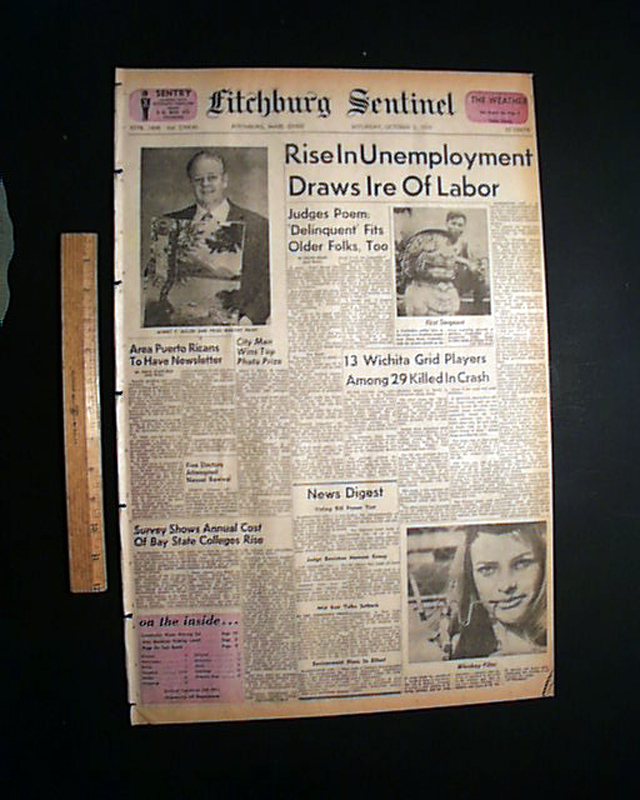 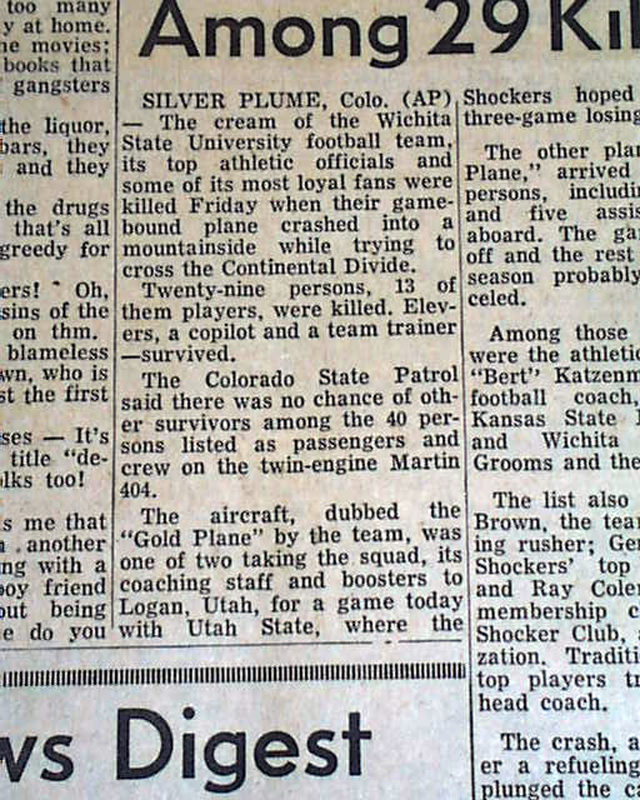 wikipedia notes: On October 2, 1970 at 1:14 p.m. a Martin 4-0-4 aircraft flown by Golden Eagle Aviation crashed into a mountain eight miles west of Silver Plume, Colorado. 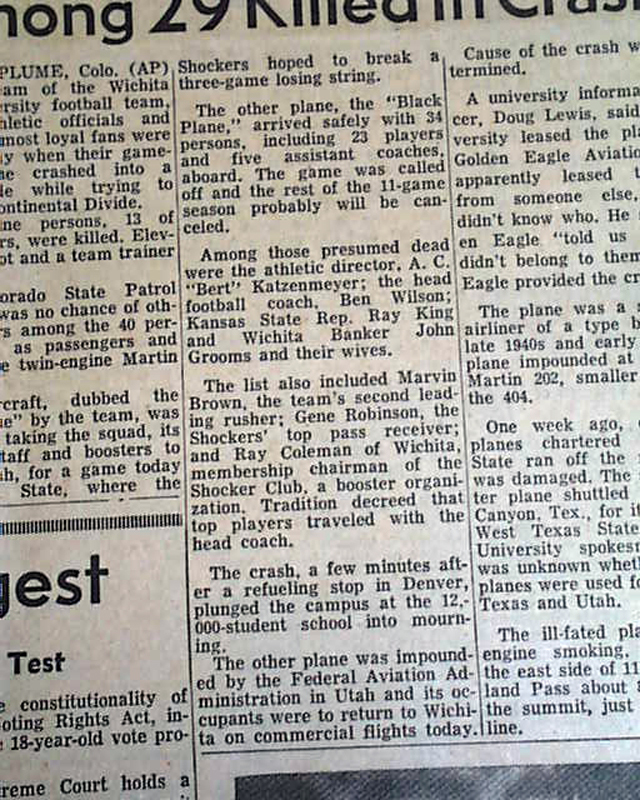 The twin-engined propliner carried 36 passengers and a crew of four; 29 were killed at the scene and two later died of their injuries while under medical care. 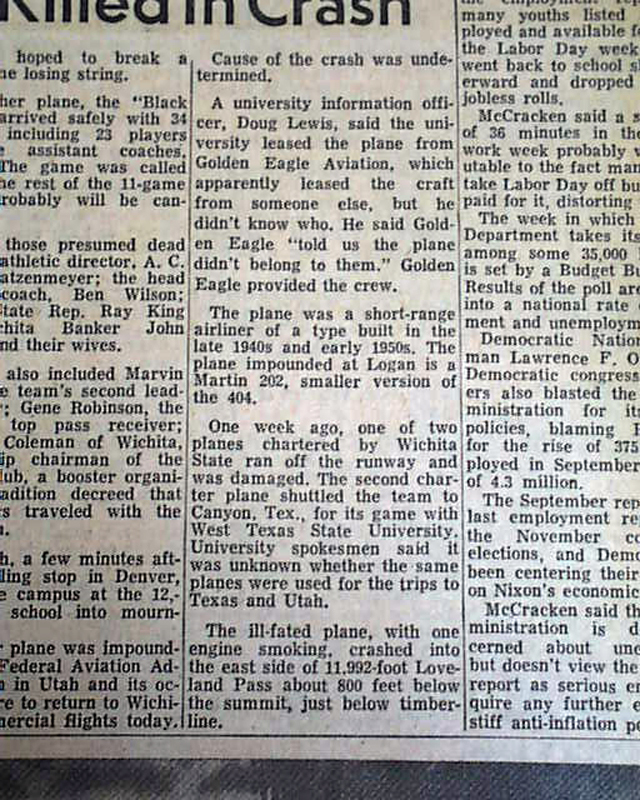 It was one of two planes carrying the Wichita State University football team to Logan, Utah for a game against Utah State University; the second aircraft flew a different route and arrived safely in Utah. 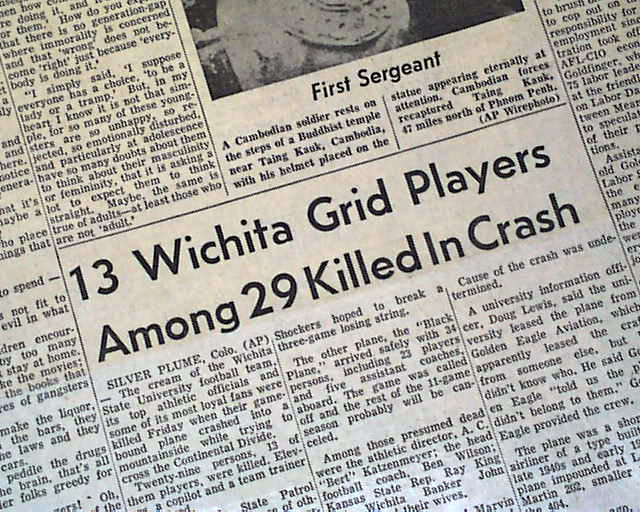 Pilot errors, including poor in-flight decisions and inadequate pre-flight planning, were officially reported as leading to the crash.